As part of WSET’s ongoing commitment to excellence, our qualifications are on a rolling scheme of redevelopment ensuring that they remain relevant and up to date. The Level 3 Award in Wines replaces the current Level 3 Award in Wines and Spirits. The spirits component has been removed, allowing the qualification to focus solely on wine education. The new qualification and materials were piloted for a year at WSET School London. The course textbook, study guide and complementary teaching materials (including a series of informative videos) have been thoroughly revised to improve the students’ experience of this qualification. The qualification’s emphasis is on the influence of natural and human factors in the vineyard and winery on the final style, quality and price of the wine. To encourage students to make connections and comparisons between wines from similar climates or using similar winemaking techniques, the classroom sessions are now grouped by wine style, rather than by country. Additionally, the sessions now include more interactive elements to better aid learning. The new Level 3 is the most dramatic and best revision of this sought after qualification I have ever seen in my 20 years as a student and WSET course provider. Course providers may run the older qualification for the next six months and students will have until 31 January 2017 to complete their Level 3 Award in Wines and Spirits. Joining our Level 3 Award in Sake (launched in 2014), we have now developed a Level 1 Award in Sake, drawing on the aid and expertise of the Japanese sake industry. While the Level 3 was positioned to support sake specialist professionals, the Level 1 has been designed for anyone needing a clear grasp of the basics, typically where sake is part of a broader drinks portfolio. The Level 1 Award in Sake is a one-day programme that provides a beginner-level introduction to sake, suitable for those working with or pursuing an interest in sake. Students explore the main styles and types of sake through sight, smell and taste to develop an understanding of the key factors affecting flavours and aromas. The updated Level 1 Award in Spirits has been completely re-designed and provides an effective and engaging one-day introduction to spirits. This beginner-level course is ideally suited to those starting to work with spirits in hospitality or retail, enabling them to offer insight and advice with confidence. The focus of the course is on understanding spirits production, focussing on four key production steps, and providing an introduction to service and cocktails, including insights into some of the underlying principles that explain why the classic cocktail recipes work. The study guide and teaching materials have been completely redeveloped, with improved graphics, diagrams and maps. 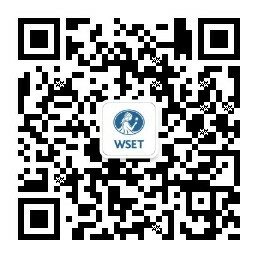 Spirits qualifications are a growing part of WSET’s business. We will continue to help enthusiasts and professionals alike learn more about the spirits that they love and work with. Students interested in pursuing any of these qualifications should check with their local course providers for availability of above courses. Find your closest course provider by visiting Where to study.